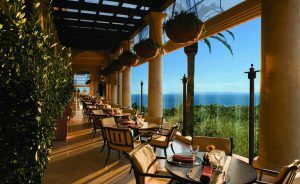 Hard to believe it’s been 10 years since The Resort at Pelican Hill opened its doors to the public, unveiling an Italian Renaissance-inspired seaside village that has welcomed guests from around the world and within our local community. 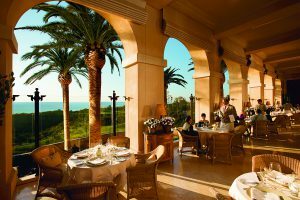 Nowhere is that more apparent than at the resort’s three restaurants (four if you count Piccolo Restaurant, open only to guests staying at one of the 128 Villas or 204 Bungalows). The art and architecture within the resort is stunning, but so too is the culinary art. 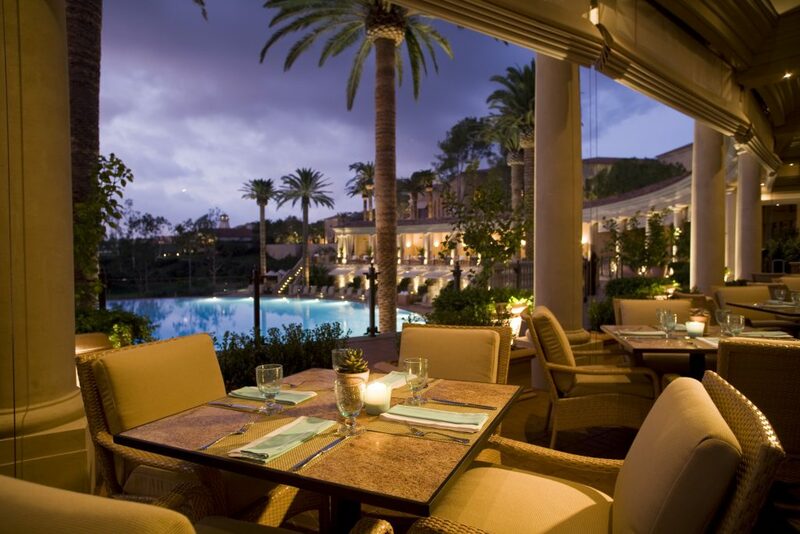 I have been a fan of the Pelican Hill restaurants for many years. Andrea, with its Northern Italian cuisine, is my favorite. It’s hard to beat the ocean views from the charming patio tables, the décor is upscale yet comfortable, the food refined yet unpretentious. Coliseum Pool & Grill is more informal and offers stunning views of the immense circular pool, while Pelican Grill across the street at the golf course offers both fine dining and a fine lounge menu (try the burger—it’s excellent). Overseeing this colorful ode to gastronomy is Executive Chef Jean-Pierre Dubray, who came on board prior to the resort’s opening. He oversees every aspect of the resort’s culinary offerings, from the restaurants to the catering to special events to in-room dining. 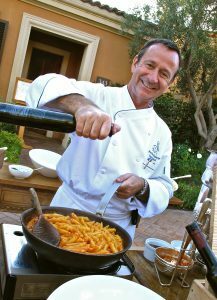 I sat down recently in the Resort’s Great Room (after a morning cup of caramel latte and an almond croissant at the Resort’s Caffe) to talk with Chef Dubray about his tenure at Pelican Hill. Q: What were your concepts behind the restaurants? A: Each restaurant has a specific concept. Andrea was Northern Italian, Coliseum was more casual with an American flair, Pelican Grill I call a steak house with a twist, it’s three concepts in one: a steak house, a country club, and Napa Valley California fresh food, simple but tasty. 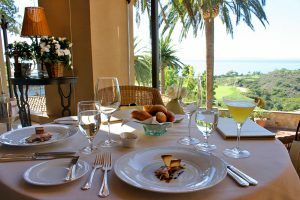 We have a fourth restaurant mostly for villa guests for breakfast and lunch but open to all guests at dinner. 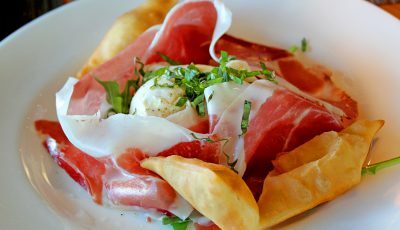 That one is small plates, Italian dishes, Asian dishes, Spanish dishes. Tapas, sushi bar, it works very well. Q: How have the menus changed over the years, particularly at Andrea? A: I want to be known as really good, we want to be busy and occupied, so we do not want to be a fine dining restaurant. We all it a signature restaurant, not an expensive restaurant. You can come and have a special occasion night, but some guests just have pasta and a glass of pinot grigio. Some come with their children, children love pasta and pizza. At the beginning we were a little more fine dining, but as time evolved we were more relaxed, but not casual. We have many guests that come here three, four, five times a month. Our goal is to be busy from Monday through Sunday. We have evolved into a neighborhood spot. Q: Who writes the menu for each restaurant? 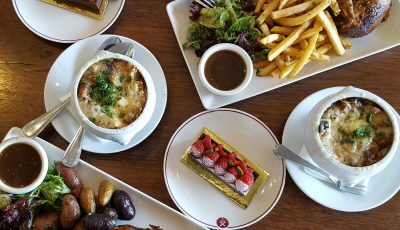 A: Each unit has their own chef and sous chef, they write the menu but bring it to me, I make sure whatever they write is part of the concept, that it is something the customer is enjoying. I mentor the chefs. I am in the kitchen every day, I walk my kitchen. I am accessible all day long, I am here for them. I have an office but the door is open most of the time, if its closed that means it is too noisy in the kitchen! Q: Does your menu change with the seasons? A: With seasonal items, we do it as a special of the day. We do not want to change the whole menu. We keep the menu with certain ingredients we know will be there all year long so we don’t have to constantly change the menu. Right now we have white truffles, the season is unbelievable, so much white truffle at a good price. Then comes the black truffle. We have squashes, root vegetables, that is the way we have our menus done. Guests come back and say I really liked the dover sole, but if we don’t have it anymore…that’s why we want to keep certain dishes. The risotto will never go away. It’s not just eating a dish. We bring it tableside, with the parmesan wheel. We always look to the Wow factor. You go out to dine and you have some expectations. We try to do things you will remember. The dover sole we filet in front of the customer. 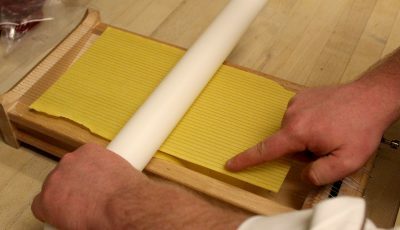 Most places it is done in the kitchen. Q: Is there ever any down time for you? A: There is no down time. The beauty of this resort is that we touch so many different markets, when one is finished another starts. The wedding market is 10 out of 12 months, group business is right after summer, an entire family comes and stays at a villa all summer. Then we have the holidays, and in January group business again, then spring break is now two months, not just one or two weeks. January is restaurant week, February is Valentine’s Day. We always try to connect with local guests. 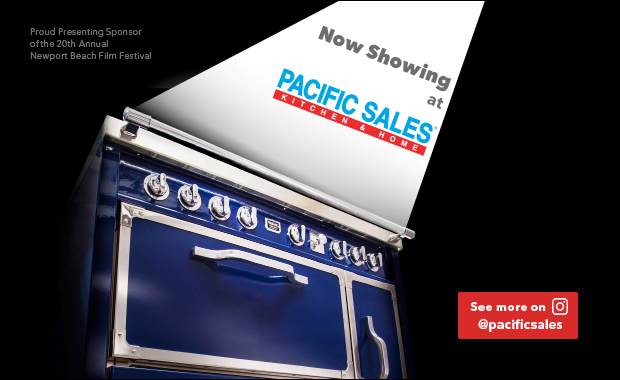 We have always built local clientele first. Q: You seem to still enjoy what you’re doing after 10 years. A: I can’t believe it has been 10 years. We opened in 2008 when the economy was down. There were days when there were not that many guests, but we kept working with local guests, and after a year and a half, it took off. 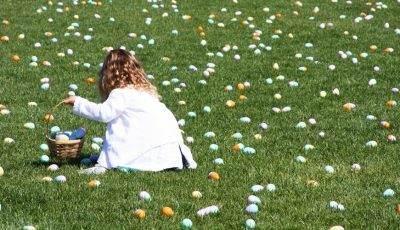 Every year we have more. To see this evolution…I come in every morning and I am still excited like I was on my first day. 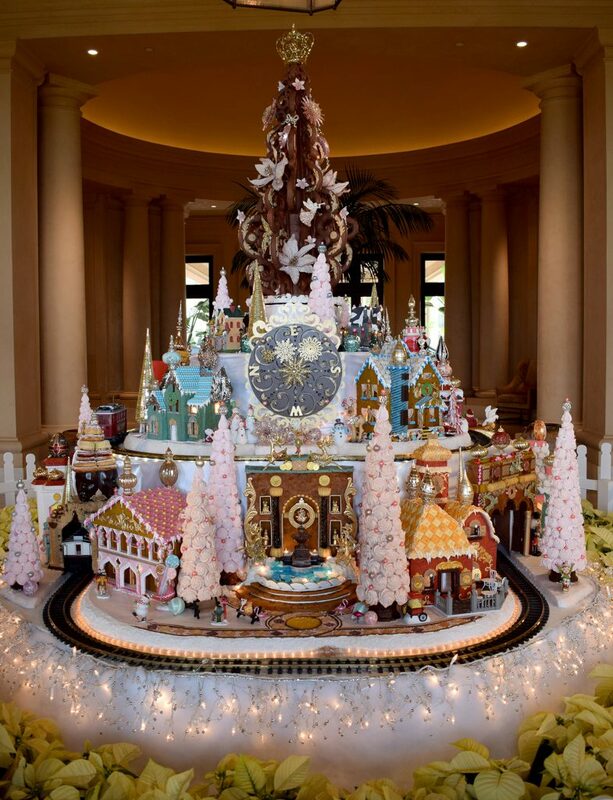 Pelican Hill Resort’s annual Gingerbread House is now on display in the resort’s foyer, and it’s a marvel of whimsical details. Pastry chef Jeff Lehuede borrowed inspiration from around the world, and you’ll find sugary replicas of landmarks such as the Taj Mahal and Arc de Triomphe within the installation. The gingerbread village will also serve as the backdrop for the resort’s “Kris Kringle Storytime Mingle.” Santa’s parking his sleigh and setting up shop in the Main Estate Lobby, where he’ll be reading stories, taking photos and delighting kids of all ages. 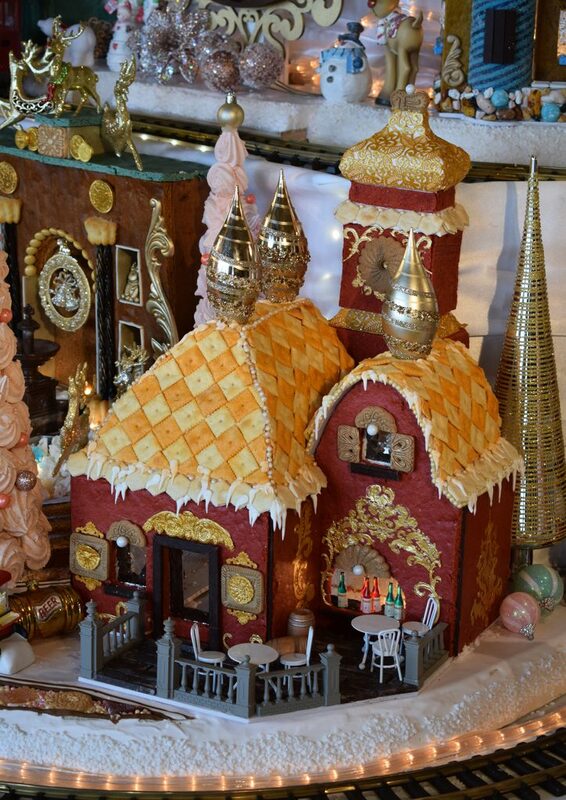 Gather around the gingerbread display for three story times at 3 p.m., 4 p.m. and 5 p.m. on Fridays, Saturdays and Sundays from November 23 through December 23. Complimentary for guests and locals. Stick around during intermission to take photos and visit with jolly old St. Nick.